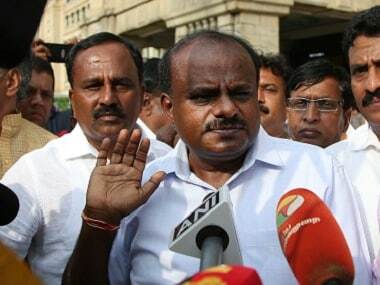 The three-day-old HD Kumaraswamy government in Karnataka on Friday won a vote of confidence without a contest after the BJP MLAs walked out. 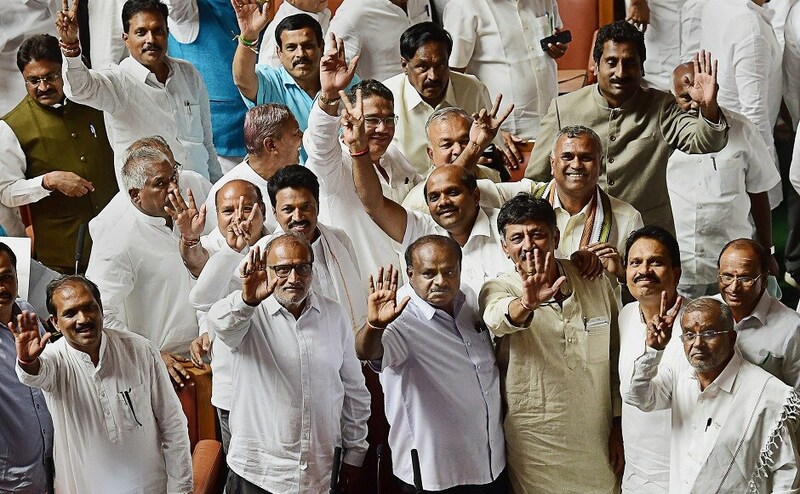 Karnataka chief minister HD Kumaraswamy won the floor test in Karnataka Assembly unanimously by voice vote after BJP MLAs walked out of the Assembly. 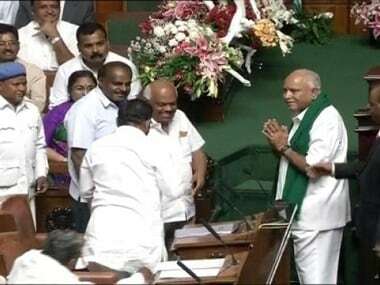 Congress' KR Ramesh Kumar was elected as the Speaker of the House in Karnataka on Friday after the BJP withdrew its candidate S Suresh Kumar's candidature for the post. 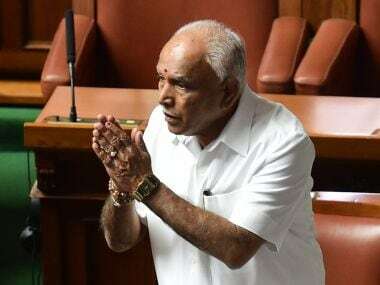 Newly-appointed Chief Minister of Karnataka BS Yeddyurappa has resigned from the post which was given to him just two days ago. 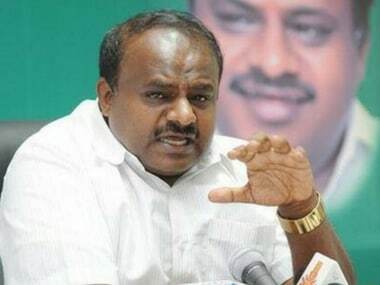 BS Yeddyurappa attacked the Congress-JDS alliance in his speech ahead of the crucial floor test and ended it by resigning at the Karnataka chief minister. 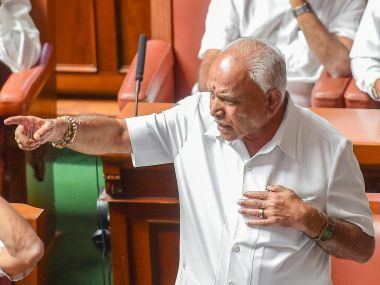 After being Karnataka's chief minister for two action-packed days, BJP's BS Yeddyurappa decided to hang his boots instead of facing a floor test on Saturday. It was like a batsman, facing a tough asking rate in the last overs, retiring hurt instead of taking the incoming ball. 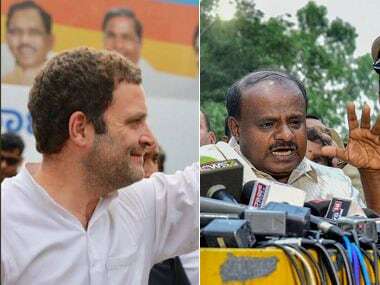 The first lesson from the dismal chaos in Karnataka on Saturday is that there is nothing to celebrate. If anything it is a time for deep introspection because in all this packaging of political personalities and parties the voter has been totally sidelined. 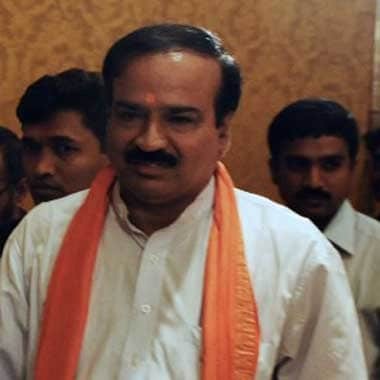 Union Parliamentary Affairs Minister Ananth Kumar on Saturday said the coalition government of Congress and the JD(S) would not last long as it was an "unholy nexus." 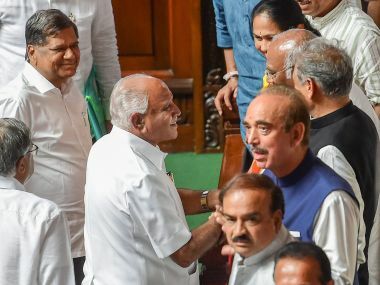 Political situation in Karnataka took a dramatic turn, when Karnataka chief minister BS Yeddyurappa quit from the post during his address to the Assembly on Saturday. 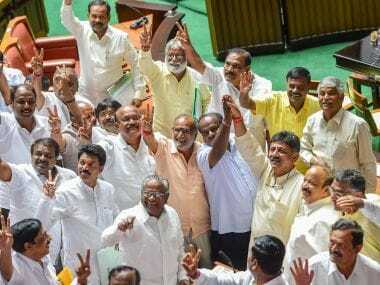 The Bharatiya Janata Party failed to get requisite numbers to show majority ahead of the floor test in Karnataka assembly.